Why Does It Leak? - Understanding Foundation Flooding And How To Fix It -- Permanently! We offer no cost, no obligation, free waterproofing quotes on professional services by experienced contractors at an affordable price in Jackson, Nashville, Clarksville, Bowling Green, Murfreesboro, Owensboro, Utica, Fayetteville, Marion, Philpot, Mcminnville, Franklin, Leitchfield, Shelbyville, Hartford, Antioch, Paducah and many areas nearby. Call or e-mail our company's trained, certified, specialists, today to schedule an appointment! How do you dry a wet basement? By being insured that your are stopping water at the point where it enters the structure. However, at Frontier Basement Systems, we have an approach to solving water problems of all types. Our solutions cover all surfaces of the basement, including the foundation walls, basement floors, and even wet crawl spaces. 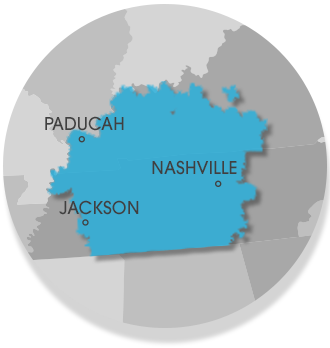 Our company offers free basement waterproofing estimates on affordable products that are licensed nationwide in Tennessee and Kentucky, including Jackson, Nashville, Clarksville, Bowling Green, Murfreesboro, Owensboro, Utica, Fayetteville, Marion, Philpot, Franklin, Leitchfield, Paducah, Mcminnville, Hartford, Antioch, Shelbyville and many Tennessee and Kentucky areas nearby. Contact our us today to get started!